Successful commodity traders know the commodity trading secrets and distinguish between trading different types of financial markets. 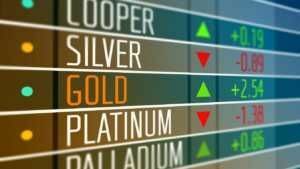 Trading commodities is different from trading stocksStockWhat is a stock? An individual who owns stock in a company is called a shareholder and is eligible to claim part of the company’s residual assets and earnings (should the company ever be dissolved). The terms "stock", "shares", and "equity" are used interchangeably.. It’s a different game, but a game worth learning for investors. Every investment instrumentFinancial AssetsFinancial assets refer to assets that arise from contractual agreements on future cash flows or from owning equity instruments of another entity. Financial instruments refer to any contract that gives rise to a financial asset to one entity and a financial liability or equity instrument to another entity is unique in terms of how best to generate profits from trading it. Unlike stock trading or investing in mutual funds or ETFs, commodity trading offers tremendous leverage. In trading commodity futures, you typically only have to put up about 10% of the total contract value. This enables you to make much higher percentage gains with your trading capital. For example, you could hold one S&P 500 Index futures contract with a margin deposit of just over $20,000, while it would take several hundred thousand dollars to buy each of the actual stocks contained in the index. A 20% rise in the Index would return you a more than 100% profit from buying a futures contract – you’d realize approximately the same absolute dollar amount in profit as from buying all the stocks in the index, but you would only need to put up a much smaller investment to make that profit. Commodity futures trading may also offer lower commissions and trading costs, although with all the discount stock brokerages that exist now, that’s not as much an issue as it was 20 years ago. Commodity trading holds an advantage over illiquid investments such as real estate since any money in your account that is not being used to margin market positions you’re holding is readily available to you at any time. One really key advantage – a double advantage, actually – that commodity trading has is that it offers diversification within simplicity. There are commodity futures available to invest in that cover virtually every sector of the economy – agricultural futures, energy futures, precious metals, foreign exchange, and stock indexes. However, unlike the stock market where there are thousands of stocks to choose from – often hundreds within any given industry – there are only a few dozen commodity futures contracts to consider. So, for example, if cotton prices rise, then you can profit handsomely by being invested in cotton futures contracts; whereas if you were trading stocks, there are hundreds of companies to choose from whose fortunes might be affected by the price of cotton but that would also be affected by other market factors. You might end up buying stock in a company whose share price falls, due to other market factors, despite a favorable change for the company in terms of cotton prices. Finally, in commodity trading, it is just as easy to profit selling short as buying long. There are no restrictions on short selling as there are in the stock markets. Having the potential to profit just as easily from falling prices as from rising prices is a major advantage for an investor. Here is one of the little-known commodity trading secrets: Consistently successful commodity traders almost always specialize in trading either a single market, such as cotton, or a small market segment, such as precious metals or grain futures. No one has yet offered a completely satisfactory reason for this fact, but it remains a fact that very few traders seem capable of trading all commodity markets equally well. There was a fairly well-known trader back in the 1980s who had a nearly flawless trading record in the cotton market. Copying his cotton trades back then would have been about the closest thing to just printing piles of money for yourself. Year in and year out, he called market highs and lows and trend changes almost as if he’d traveled into the future and already seen them all unfold. However, this same uncannily brilliant cotton trader had one fatal flaw: He also loved trading the silver market. Unfortunately for him, he was just as outrageously bad at trading silver as he was outrageously good at trading cotton. His weakness was compounded by the fact that while he typically traded long-term trends in the cotton market, he day traded the silver market, which provided him with fresh opportunities to lose money every trading day of the week. How did this all play out for him? Well, in one year when he made over a million dollars trading cotton futures, he ended up filing a net loss in trading for the year. That’s right – his horrifically bad silver trading had more than wiped out every bit of his huge profits from trading cotton. And so we say: Find your market. It may take some time – and some losing trades – to do this, but it isn’t really all that difficult to determine, over a reasonable period of time, what you seem to have a knack for trading – and what you don’t have a knack for trading. A simple review of your trades over, say, a six-month period should pretty clearly show you what markets you’re frequently doing well in and what markets you aren’t. As you trade, you’ll probably also develop a feel for which markets you feel most confident in trading. Trust your instincts on that score. If profitably trading oil futures comes easily to you, then just stick with that, and don’t go trying to complicate your life by trying to master trading some market that’s obviously difficult for you. Why make your trading life more difficult than it need be? You’ll likely fare much better by gradually picking up related markets such as natural gas or heating oil. Large institutional traders such as banks have learned this basic truth about trading well. At the trading desks in a bank, you’ll rarely, if ever, find the same person assigned to trading both the gold market and the soybean market. The common arrangement is to have commodity trading very specialized, usually with one trader or one team assigned to trading just one segment of the futures markets, such as energy futures or precious metals futures. The supply and demand quotient for basic raw materials is usually much less subject to ongoing volatility than is the case with stocks. Certainly, there are some very volatile trading days, such as those that occur at the end of major bull or bear trends when there are long-term market reversals or following a crop report that comes out unexpectedly good or bad. But generally speaking, there tend to be sustained periods of time when high demand or short supply controls a market, driving prices higher, or when oversupply or lack of demand drives prices lower. To confirm this, one need look no further than the past several years in oil prices. After experiencing a multi-year bull market that drove oil prices over $100 a barrel, from 2014 onward, oil prices entered a sustained downtrend carrying the price back below $40 a barrel. Similar action occurred in a protracted bull market that drove grain prices to record highs in the first decade of this century, followed by a general decline in prices that has generally been sustained since 2009. Again, while there are occasional sharp and volatile movements in commodity prices, commodities typically experience overall bull or bear trends that last several years. So one of the commodity trading secrets is simply the old trading adage, “The trend is your friend”. Therefore, trend-following trading strategies – especially as applied to the longer term time frames such as daily, weekly, or monthly charts – tend to work well in commodity trading. To demonstrate the wisdom of trading with the trend, one noted technical analyst devised a very simple trading strategy and then fine-tuned it by matching it to the long-term trend according to the daily chart. The basic trading strategy he devised was as follows: Buy a new 10-day high and sell short a new 10-day low. It doesn’t get much simpler than that. The basic strategy worked well enough. It wasn’t a huge moneymaker, but it was at least overall profitable. However, when adjusted according to the overall trend as indicated by the daily chart, the strategy performed markedly better. The adjustment made was to only take trading signals that were in the same direction as the overall long-term trend. In other words, if the daily chart showed an overall bullish trend, then he would only follow the trading signals to “buy a new 10-day high,” while ignoring the trading signals to “sell a new 10-day low”. Conversely, in an overall bear market, he would only take the sell signals generated by seeing a new 10-day low, while ignoring buy signals. Both trading strategies – the basic strategy and the version adjusted to only take trades in the same direction as the existing trend – were applied, using separate trading accounts, over the same one-year period of time. The fine-tuning of the trading strategy yielded an impressive improvement in profitability. The fine-tuned version of the strategy, the one which only traded with the existing trend, generated approximately 180% more in profits than did the basic strategy that took both buy and sell signals regardless of the existing long-term trend. There’s another good reason to employ a solid, long-term, trend trading strategy when investing in commodities. While commodities do tend to enjoy long-term trends, on a daily trading basis they tend to be just the opposite – excessively volatile. Day trading commodity futures – because of the leverage available which makes even small price fluctuations significant as far as potential profits or losses on any given day – does indeed offer tremendous opportunities for profits. However, it’s extremely risky. Any commodity trader who’s been at the game for a while can tell you stories of days when the price of a given commodity has gone from limit up (the maximum daily price advance allowed by the exchange) to limit down (the maximum daily price decline allowed), and then back to limit up again, sometimes within just a three or four-hour period. The odds of being able to successfully navigate your way through price runs like that are slim and none. Another of the commodity trading secrets is paying attention to a factor that is unique to commodities as opposed to other investment vehicles and which tends to significantly drive prices – seasonality. Nearly all major commodity markets tend to follow established seasonal price patterns. A simple example is heating oil and natural gas futures. Both of these commodities tend to, year in and year out, rise into the winter months when demand is highest and decline into summer as demand falls off. Certainly, there may be specific economic conditions that disrupt this general pattern from time to time, but over any 10-year period, one can reasonably expect such general season price trends to run true at least seven or eight years out of 10. There are specific seasonal patterns that traders can watch for, and take advantage of, in commodity trading. Years ago, famed futures trader, Jake Bernstein, put together a book on seasonal trends detailing dozens of seasonal patterns that occur throughout the year in the various commodity markets, along with the historical record of what percentage of the time the markets stayed true to each seasonal pattern. More recently, seasonal trading software that basically incorporates such data has been created and is available for traders to use. Trading seasonal patterns is not a guaranteed win – nothing in trading ever is – but it definitely offers traders an extra edge. Seasonal patterns can be used as confirming indicators of an existing trend, or as cautionary contrary indicators that may make a trader wisely watchful for an upcoming trend change. If nothing else, proper awareness of seasonal tendencies in various commodity markets can at least help you avoid suffering huge losses. For example, only the bravest of traders ever holds a large short sell position in orange juice futures heading into winter, when just one overnight freeze can send orange juice futures prices suddenly soaring. The safer course of action is to perhaps venture a small buy position, from which you can profit handsomely in the event of a freeze that drives prices dramatically higher, but that isn’t likely to suffer catastrophic losses to the downside even if no adverse weather conditions materialize. Learning about commodity trading secrets offers investors significant advantages, such as high amounts of leverage and the opportunity to ride sustained bull or bear trends. However, commodity trading is not a charitable organization that just hands out suitcases full of money to anyone who wants some. Just as is the case with any other investing arena, it takes discipline and practice to become a highly-skilled and successful commodity trader. One of the major challenges is learning how to take advantage of the leverage offered without exposing yourself to excessively high risks and potentially disastrous losses. Because, frankly, that’s the sad story of many who try their hand at the commodity trading game – they lose. But that doesn’t need to be the case. If you enter the business of commodity trading with proper caution – realizing that you need to learn how to successfully navigate a completely different trading arena than that of stocks, forex, or other investments – then there’s no reason that you can’t reap the rewards of highly profitable investments, all earned with the use of a minimum amount of trading capital. Keep the commodity trading secrets revealed here in mind as you trade, and who knows? – you may learn some commodity secrets of your own. How to trade the forex marketForex Trading - How to Trade the Forex MarketForex trading allows users to capitalize on appreciation and depreciation of different currencies. Forex trading involves buying and selling currency pairs based on each currency's relative value to the other currency that makes up the pair. Order executionTrade Order Timing - TradingTrade order timing refers to the shelf-life of a specific trade order. The most common types of trade order timing are market orders, GTC orders, and fill or kill orders.